Foreclosure rates have dropped below precrisis levels in almost half of U.S. housing markets thanks to a strong job market and are now at the lowest level in more than a decade. Those markets of course include the Bay Area, which has one of the nation’s most thriving job hubs. 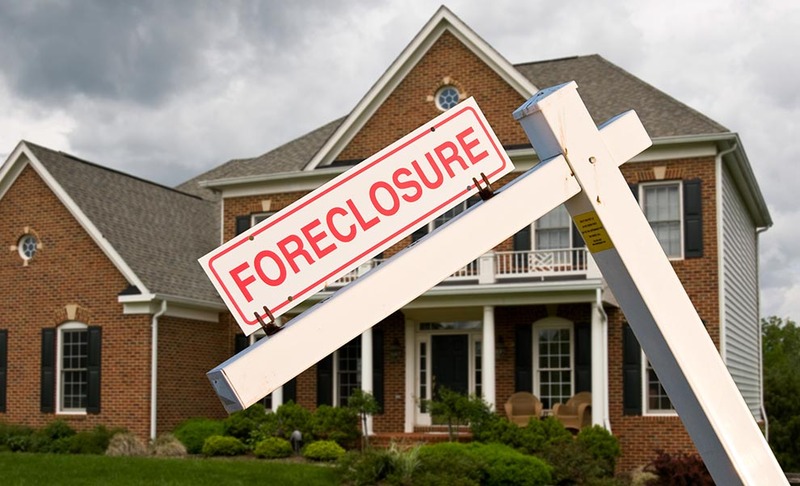 ATTOM Data Solutions’ Q1 and March 2017 U.S. Foreclosure Market Report says that there were 234,508 foreclosure fillings across the country in the first quarter, down 11 percent from the previous quarter to reach the lowest level since 2006. March foreclosure activity was down by 24 percent on an annual basis and marked the 18th consecutive month of year-over-year declines. All Bay Area metro regions included in the study are among the 47 percent of U.S. housing markets where foreclosure activity is now below the prerecession average. The Vallejo metro area has seen the largest local drop in foreclosures, with activity down by 71.4 percent. Foreclosure filings have declined to 61.6 percent below the precrisis average in San Jose, 58.3 percent in San Francisco, and 50.4 percent in Santa Rosa. All of those markets have foreclosure rates that are more than 90 percent lower than peak levels recorded in 2009. Just in time for Earth Day comes a report that more than one-third of the nation’s most environmentally friendly cities are located here in the Bay Area. That’s according to an analysis by SmartAsset, which ranked the 25 best green cities for families in America based on 11 criteria — five related to quality of life and six to environmental friendliness. Mountain View ties Beaverton, Oregon as the seventh greenest U.S. community, with one of the nation’s highest high-school graduation rates. San Francisco ties Boulder, Colorado for the ninth position, earning points for its low carbon footprint, number of farmers’ markets, and plentiful jobs. The Bay Area’s other green standouts: Sunnyvale (No. 12), South San Francisco (No. 14), Alameda (No. 15), Berkeley (No. 20), San Mateo (No. 21), Palo Alto (No. 23), and Daly City (No. 24). Berkeley has the nation’s second most clean commuters, with 61 percent of residents getting to work via public transit, carpool, bicycle, or foot. Palo Alto has one of the country’s highest graduations rates as well as its largest median household income, at $136,519. San Francisco remains the country’s most expensive rental market, according to Zumper’s latest monthly rent report, but apartment hunters in the city can at least take a bit of comfort in the fact that prices are dropping. In fact, a recent RENTCafé report says that San Francisco saw the largest annual rent decline in the U.S. in March, with prices dropping by 4.3 percent to $3,330 per month. Rental costs also dropped on a year-over-year basis in Fremont, Santa Clara, Oakland, and Sunnyvale. That counters the statewide trend, as rents rose in 90 percent of California markets from March 2016 to 2017. Rent prices increased by 9.1 percent year over year in Fairfield and Santa Rosa, though both cities are roughly half as expensive for tenants as San Francisco. A few select Bay Area homes will soon proudly wear the local National Hockey League team’s color, though one homeowner (and at least one ex-player) has expressed some curb-appeal jitters. The Mercury News reports on the San Jose Sharks’ inaugural “Sharks for Life” marketing campaign, in which the NHL has selected five Bay Area homes to receive a $6,000 teal paint job. The first home picked from the 1,000 applicants was recently painted in Los Gatos, after seven-year-old Evan Beech persuaded his father to enter their home in the contest. And while the boy’s mother Theresa initially had major misgivings about what the neighbors would think, she eventually agreed. The NHL plans to paint additional homes in San Francisco, San Jose, and Pleasanton. Former Sharks player Dan Boyle dropped by the Los Gatos house to check out the teal paint job in person, and while he was impressed with the Beech’s passion for the team, he said there was “not a chance” he would give his own home the same treatment.